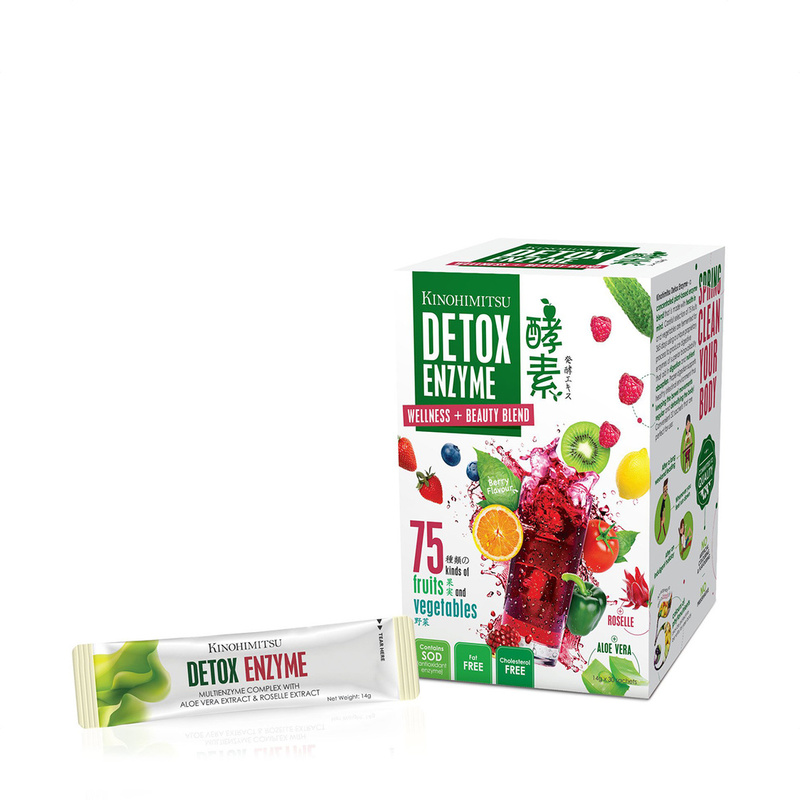 A concentrated plant-based enzyme blend that is made with health in mind. Careful selection of 75 fruits & vegetables are fermented for 365 days using a unique proprietary process to produce digestive enzymes of superior bioavailability that aid in digestion and nutrient absorption. Proper digestion supports healthy intestinal environment thus keeping the bowel movements regular and detoxifying the body! Direction for use - Take 1 sachet each time, either before or after meal. Mix with 150ml of water. Serve with chilled water for delicious taste. For intensive cleanse: Consume 1-2 sachets a day for 6 days consecutively. For maintenance cleanse, take 1-3 sachets in a week or when you need it.